Home / Unlabelled / Guess who? Yeah, and that "deer in the headlights" expression on his face. 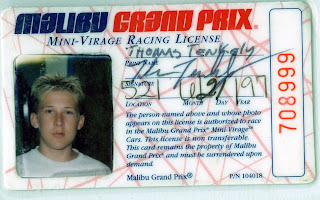 I wonder what happened to my Malibu license...Remember when we chased the kids through there after it was closed down? Little bastards and their ice rock through the windshield of the Volvo.